CANOE 1982 Tony Cragg (1949 – )	P4278 © DACS 2018. MINSTER 1994 Tony Cragg (1949 – )	P6227 © DACS 2018. 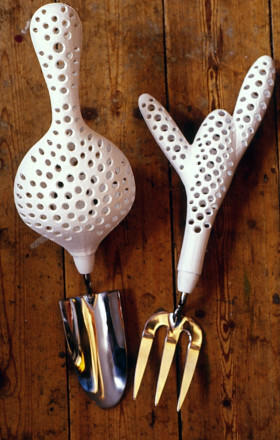 TROWEL 1999 Tony Cragg (1949 – )	P7261 © DACS 2018. CROSS-SECTION DRAWING OF FOUND OBJECT, AND OBJECT 1980 Tony Cragg (1949 – )	P3927/A © DACS 2018. FORK 1999 Tony Cragg (1949 – )	P7262 © DACS 2018. Cragg was born in Liverpool. He worked as a laboratory technician for the Natural Rubber Producers Research Association before turning to formal art education in 1968. He studied at Gloucester College of Art and Design, Wimbledon School of Art and on the post-graduate sculpture course at the Royal College of Art, London. After graduation in 1977 he moved to Wuppertal, Germany, where he continues to live and work. His first teaching post was at the School of Fine Arts, Metz before moving to the Kunstakademie Düsseldorf in 1978, where he was later appointed professor and was co-director 1989 - 2001. 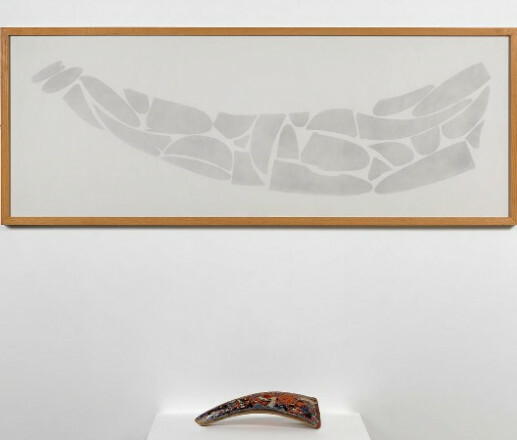 Cragg had his first solo exhibition at the Lisson Gallery, London in 1979 and has continued to exhibit there regularly since. His work has been shown in innumerable important group exhibitions and he has had major solo museum shows throughout the world, including the Tate Gallery, London in 1988, Stedelijk van Abbemuseum, Eindhoven in 1991, Museo Nacional Centro de Arte, Reina Sofia, Madrid in 1995, and Tate Gallery Liverpool in 2000. He represented Britain at the XLIII Venice Biennale in 1988 and was awarded the Turner Prize at the Tate Gallery, London the same year. He was elected a Royal Academician in 1994, and awarded the Shakespeare Prize by the Alfred C Toepfer Foundation, Hamburg in 2001. 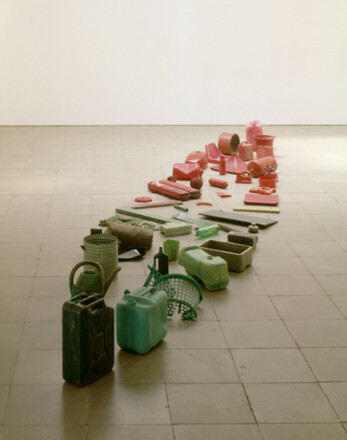 Cragg's innovative use of urban and industrial detritus opened up a new territory for sculpture at the same time as dealing with environmental and social concerns in post-industrial Britain. His first large-scale sculptures were stacks built with found and discarded building materials densely packed together to form solid cubes which could be viewed as sections of geological or archaeological strata from another age. These early works led him to using miscellaneous found items, most commonly made of plastic, to compose images of objects such as an axehead, a canoe, a vacuum cleaner, vessels and figures. Throughout the 1980s, he worked with an increasingly wide range of materials including wood, stone, cast iron, glass, aluminium and bronze. 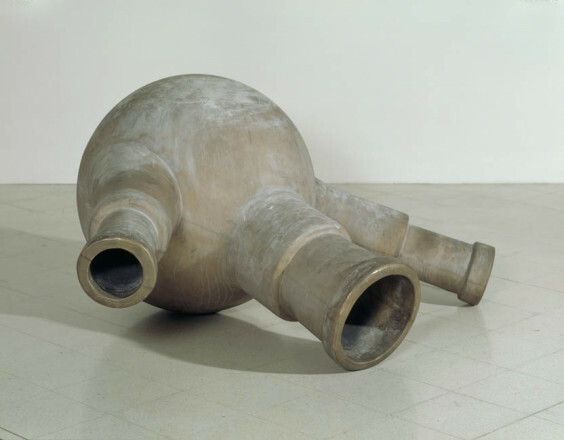 Mother's Milk II, 1988, shown in his exhibition for the Venice Biennale of the same year, is one of a number of large bronze sculptures of the late 1980s which explored vessel forms derived from laboratory flasks. 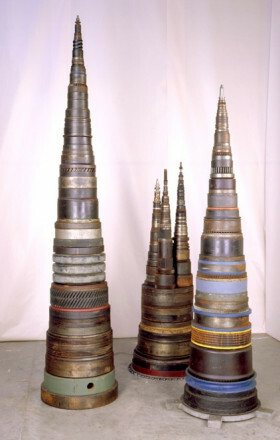 These sculptures with their rounded shapes were a departure from the flat and stacked configurations which preceded them, and they appeared to both reflect Cragg's knowledge of and continued concerns with scientific matters as well as suggesting a vocabulary for the body and bodily functions. The vessel and the stacking of materials, both of which are combined in the elaborate glass sculptures of the 1990s, have been constant elements in Cragg's diverse sculptural output over the last twenty-five years.